Since April this year, Nicaragua has become a bloodbath, with over 400 dead and thousands injured, arrested and disappeared. The trigger for this process was a mass movement against the attempt of Daniel Ortega's FSLN (Sandinista Front of National Liberation) government, in agreement with the International Monetary Fund, to implement social security cuts. These would have lowered the value of pensions and raised the value of contributions. This mass movement was savagely repressed by the government, which used both the state apparatus and paramilitary organisations to do so, with methods reminiscent of the former Somoza dictatorship. The violence of the government radicalised the popular resistance, made up of students, peasants, indigenous people, workers and the urban poor, transforming it into a genuine rebellion against the government. A few days later, the government was forced to retreat on the pension counter-reform, but it was too late. This social explosion was the expression of years of accumulated discontent, social tensions, and opposition to the neoliberal, pro-capitalist policies of the Ortega government. The FSLN, led by Ortega who has ruled the country since 2007, has degenerated to the point of being transformed into another instrument in the service of big capital, and the interests of Ortega, his vice-president, Rosario Murillo, and the new rich pseudo-Sandinista oligarchs. There is virtually nothing left of the organisation which led the revolution that toppled Somoza in 1979 and which inspired millions of workers and peasants all over Latin America. The tragic destiny of the Sandinista revolution has innumerable lessons for the left in Latin America and beyond. Once Somoza had been brought down, the government led by Ortega and the FSLN stopped half way on the road of completing the revolutionary tasks of the day. Contrary to what had taken place in Cuba, they avoided expropriating the whole of big business and establishing a planned economy. Their illusions in a 'mixed economy' opened the way for internal sabotage from US imperialism, including the formation of the reactionary "contras" armed force. The imperialist offensive and the mistakes of Ortega and the Sandinistas, with the adoption of an increasingly 'pragmatic' economic policy which was more and more distant from the ideas of the revolution, led to the defeat of the FSLN and the return of the right wing to power in the 1990 election. Since then, Ortega and the FSLN turned increasingly to the right. They built alliances with sectors of the old oligarchy and right wing, like the corrupt ex-president Arnoldo Alemán. Ortega also sought ties with the reactionary Catholic church establishment, reconciling himself with old enemy of the Sandinistas, Cardinal Miguel Obando y Bravo, and supporting legislation to totally ban abortion in the country. Ortega lost elections in 1996 and 2001. When he won in 2006, the leadership of the FSLN had already consolidated its turn to the right and alliances with the old Nicaraguan oligarchy. The economic model pushed by Ortega was based on neoliberal policies of privatisation and the opening of the agribusiness, mining and fishing sectors to foreign capital. This deepened the subservient, dependent character of Nicaraguan capitalism in relation to imperialism, while at the same time guaranteeing profits and wealth to the local oligarchy and new rich elite. An example of these policies was the project of the building of the Inter-Oceanic canal, linking the Atlantic and Pacific, which was awarded to a Chinese consortium. If it is concluded, this project will be a monumental ecological disaster and will displace 25,000 people. Since 2014, this project has seen peasant and indigenous protests against it. The building of the canal began in 2015, but it had to be suspended due to the Chinese company's bankruptcy. As in other Latin American countries, economic growth based on primary product exports has not eliminated social inequality and poverty, but only built up more contradictions and political volatility. Nicaragua remains the second-poorest country in Latin America, with half the population living in poverty, rising to 68% among the rural community. Despite still using some left or anti-imperialist rhetoric to manipulate the memory of the historic 1979 revolution, Ortega's government plays the game of the right wing and imperialism. Countless former leaders of the authentic Sandinista movement have denounced Ortega. However, there are some on the left who echo the distortions of Ortega. Recently, the secretary of international relations of the Brazilian Workers Party (PT), Monica Valente, compared the conflict in Nicaragua with the demonstrations in June 2013 in Brazil, saying they were actions by "small student groups, especially from private colleges, financed by the USA". This statement makes it clear that the leadership of the PT has understood nothing about the 2013 protests, and even less about events in Nicaragua today. The movement of June 2013 was not right wing, but a popular explosion, with great transformative potential which was not seized upon because of the betrayal of the traditional Brazilian left and the weakness of the new left in a process of being constructed. 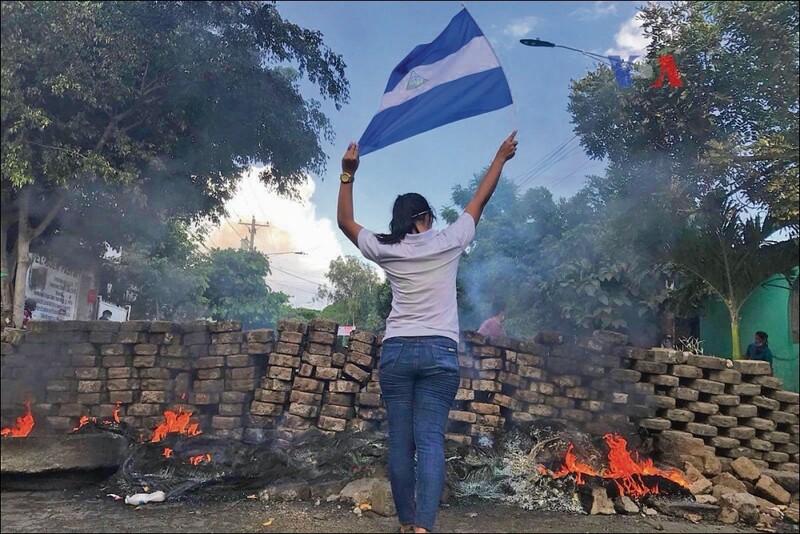 In the case of Nicaragua there can be no question of siding with Ortega in the face of this massacre. He must be fought, and a left-wing, working class alternative must be built. 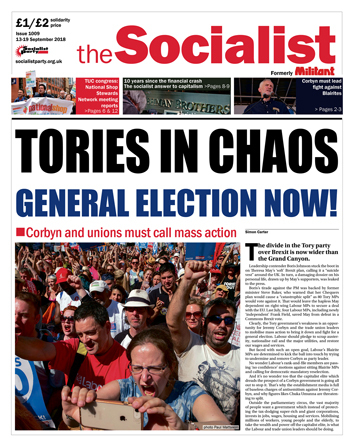 The role of socialists is to encourage the independent organisation and struggle of the workers and poor for their rights and interests. The movement must reject any alliance with the bosses, the right wing, imperialism or the church. The working class, students, peasants, indigenous people and women can only rely on their own independent and organised power. The struggle should be democratically organised from below with committees of struggle made up of elected representatives, and coordinated on a national level. Only on this basis can a real alternative to Ortega, the traditional right and imperialism be built. East London Socialist Party: Is Cuba socialist?